Posted By:Unknown | At:8:16 AM Be the first to comment! 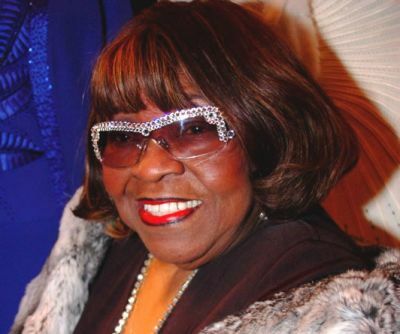 Memorial services have been set for gospel music great Albertina Walker, who died Friday in a Chicago hospital from respiratory complications. She was 81. Visitation will be held from 9 a.m. to 6 p.m. CST, on Thursday at West Point Baptist Church on South Cottage Grove Avenue in Chicago, followed by a musical celebration at 7 p.m. at Apostolic Church of God on South Dorchester Avenue. On Friday, there will be visitation at 10 a.m. CST, followed by a service at 11 a.m. at West Point Baptist Church. "Michelle and I are saddened by the passing of gospel great Albertina Walker. Growing up on the South Side of Chicago, she started singing in her church youth choir at just 4 years old where she learned to spread the 'Good News' through song. She also performed before President Bill Clinton and was honored at the White House by President George W. Bush for her contributions to Gospel music. And she never forgot to give back, impacting her community through the Albertina Walker Scholarship Fund and many other charitable endeavors." "Ms. Walker's voice and message has touched congregations across the nation," Obama's statement continued. "Though we have lost an American icon, her influence on gospel music will continue for generations. Our thoughts and prayers are with her family and the countless lives she touched." U.S. Rep. Bobby Rush (D-Ill.) said in a statement that Walker was a voice for the civil rights movement whose voice was "a healing balm to those who struggled for justice."